Class Action Lawsuit Settlement: Good News or Bad For Your Taxes? I recently received a question from Susan, who wanted to know if a settlement from a class action suit is taxable. Great question, but it’s also very broad and open-ended. A number of examples came to mind. First, let’s talk about the woman who won a substantial settlement, in the high six figures, from one of the aerospace companies operating out of Burbank, California. You’d think a settlement like that would be wonderful, right? Unfortunately, this company’s plant had been so toxic to the entire area that the woman and many others had developed a variety of cancers. While the money was nice to have, the recurring cancers were not. Her lawsuit settlement was not taxable. Then there is the pittance that school bus drivers at the Los Angeles Unified School District (LAUSD) received recently. They sued LAUSD because the district was not paying them per the contract that had been in force for the last decade and a half. LAUSD had been shorting them about 25 percent of their compensation, sick pay, vacation pay, and retirement benefits. Although the district admitted to the judge that the drivers’ claim was correct, LAUSD still has not corrected the practice. Its attitude? Sue me! Each driver got about $2,000. That lawsuit settlement was treated as wages and subject to payroll taxes. And let’s not forget the Bernie Madoff situation. Some victims were able to get some of their money back. Some were forced to return money to the Madoff bankruptcy estate first, even though they had substantial net losses. Not only was their lawsuit settlement not taxable, but these Madoff victims may have ended up with substantial net operating losses to apply against prior years-or future years. So let’s get back to Susan’s question. Whether the lawsuit settlement is taxable depends on the nature of the class action suit. When the lawsuit is related to physical harm you suffered, such as cancer as a result of toxic wastes being deposited in an area (as in Burbank), the judgment is not taxable. 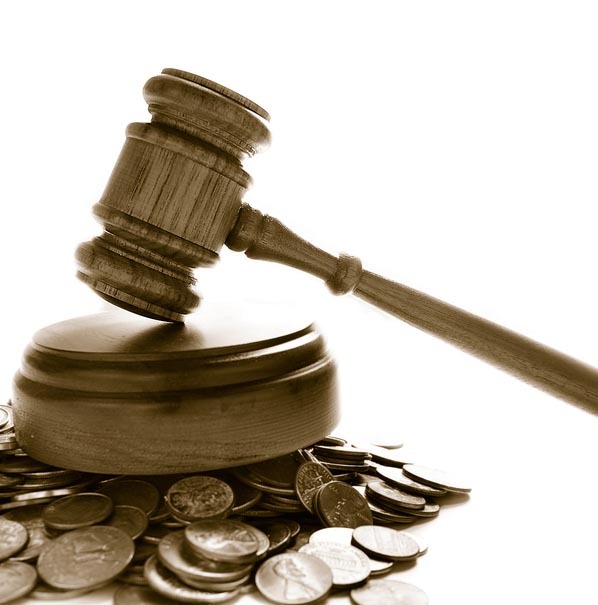 When a lawsuit is related to anything that did not cause physical harm-discrimination of any kind, loss of income, or devaluation of an investment-the lawsuit settlement proceeds are taxable. Whether the income will be considered ordinary (top tax rates), capital (special investment rates, potentially), lost wages (subject to payroll taxes), or self-employment (subject to self-employment taxes of 15.3 percent plus the top marginal tax rate) all depends on the nature of the lawsuit. To go deeper into this issue, check out the IRS’s audit guide for lawsuit settlements. IRS auditors use this to investigate the taxability of a settlement. You can’t get better information than this! IRS Publication 525 discusses taxable and nontaxable income. With significant lawsuit settlements, it can be worth your time to sit down with a good tax professional to review your settlement before you receive it. In some cases, in a small class action lawsuit, you may have some control over the final structure of the settlement and may be able to reduce the tax impact.